The Cleveland Municipal Light Plant was the product of Mayor Tom L. Johnson's vision for a city that owned or controlled all of its own public utilities and public transportation companies. Mayor Johnson's campaign for municipal ownership was pitched under the banner of the "Three Cent Fare," which advocated public transportation and other public services be offered to the public at an affordable $0.03 per ride. The approximate rate of 3 cents per kilowatt-hour lasted until 1957, 54 years after Johnson had proposed it. 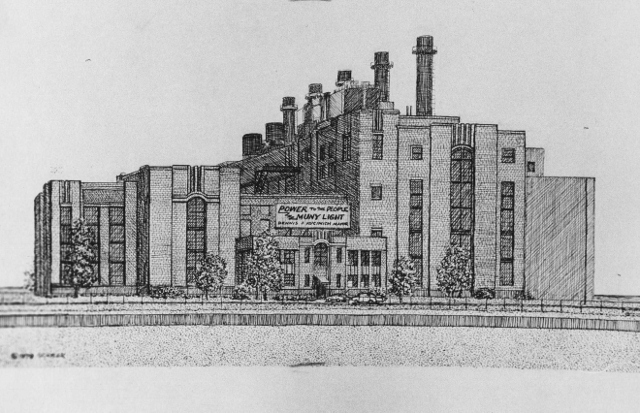 The city broke ground for the new Municipal Electric plant in 1912, with operation beginning in July 1914. During its first six months of operation, the Municipal Light Plant did two very important things for Cleveland citizens: it offered cheaper competition for electricity in a market that had previously been monopolized by the Cleveland Electric Illuminating Company (CEI), and it immediately turned a profit for the city. This benefit to the city was recognized abroad, with major industrial cities such as New York and Chicago making an attempt to copy Cleveland's success. The financial success, however, was a threat to CEI, initiating a business battle that would continue long after the Municipal Light Plant ceased operation. The battle between the Cleveland Municipal Light Plant and CEI came to a boil in 1977, as CEI made an offer to the City of Cleveland to purchase the municipal lighting system in an effort to wrest the city from the large debt that it had accumulated. The mayor at the time, Dennis Kucinich, advocated keeping the municipal lighting system in an effort to prevent CEI from attaining a complete monopoly. In a political battle with the City Council, Kucinich agreed to ask the voters to decide: would Cleveland sell the Municipal Light Plant, or nearly triple the income tax rate of residents? The election was an overwhelming landslide in the favor of Kucinich and the Municipal Light Plant. Though this only worsened Cleveland's financial situation and prevented Kucinich's re-election, the decision helped Cleveland maintain its own municipal light system even to this day. (The system is currently called Cleveland Public Power.) Kucinich also used the legacy of his Municipal Light Plant victory to propel his political career into the House of Representatives. Today the Municipal Light Plant still stands on East 53rd Street, but it functions in a different capacity than originally intended. In the 1970s the plant began to help ease the burden on the power grid during the hours of peak electrical demand. By the time CEI offered to buy the Municipal Plant, it was already a relic left over from Tom L. Johnson. Today, the building stands not only as an important site in Cleveland's history, but as a work of art as well. In 1997, the Municipal Light Plant became the seventy-fifth Whaling Wall, entitled "Song of the Wales," which is a work of art by Robert Wyland. The mural was part of a nationwide effort by the Wyland Foundation, a non-profit organization that aims to raise awareness for aquatic environments and habitats. 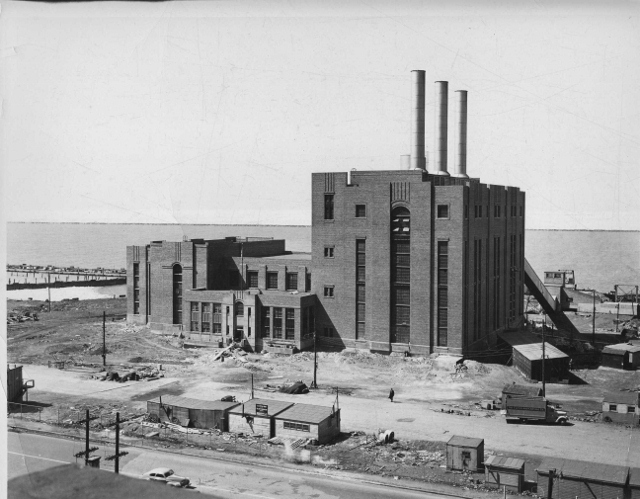 The Cleveland Municipal Light Plant in 1941: The Cleveland Municipal Light Plant operated in Cleveland for 64 years, dividing politics in Cleveland in many directions, and not always along party lines. Known locally as "Muny Light," it often was embroiled in corruption. Even so, it also managed to serve as a shining pillar for the community. While many of its directors were accused of corruption and often found themselves in the employ of the rival CEI, Muny Light also aided the community in ways that were not merely financial kick-backs for the city. During the Great Depression, the plant's profits helped the city make relief payments to citizens in need of financial help. Image courtesy of Cleveland State University. Michael Schwartz Library. Special Collections. A City of Cleveland postcard design featuring the Municipal Light Plant in 1979: Though the city had often neglected its own power plant, the late 1970s brought a rejuvenated view of the plant to the citizens. In 1983, during the Mayoral administration of George Voinovich, the municipal lighting system was renamed "Cleveland Public Power". This new view of the plant was spurred on by the heavy campaigning of Mayor Kucinich in his push to save Muny Light in the 1979 special election. Image courtesy of Cleveland State University. Michael Schwartz Library. Special Collections. 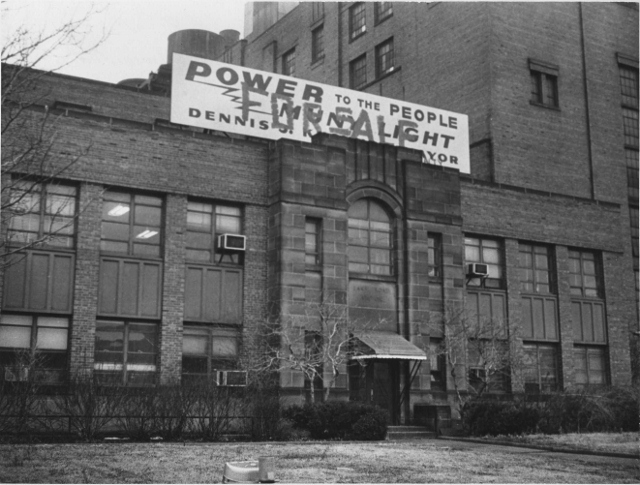 "For Sale" 1979: In the midst of the city's Special Election of February 1979, the sign above the Municipal Light Plant was vandalized. The heated debate divided many groups, and no party had a definite and unified party line. The decision to save Muny Light kept CEI from having a monopoly over the electric supply in Cleveland, but did not help solve Cleveland's financial problems, which lead Cleveland into default in December of 1979 - the first major city to do so since the Great Depression. Image courtesy of Cleveland State University. Michael Schwartz Library. Special Collections. 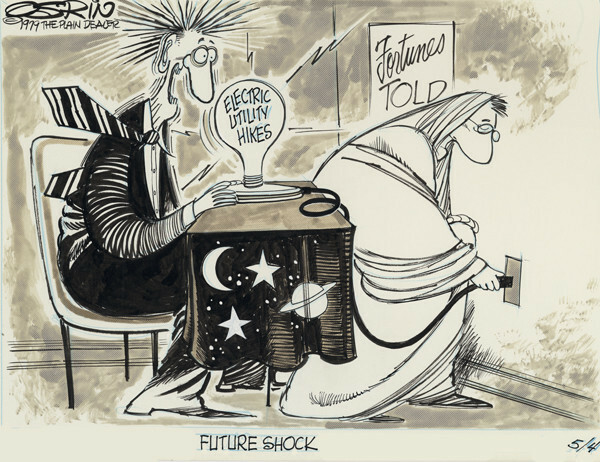 Future Shock: This 1979 Ray Osrin political cartoon depicts a man in a suit being electrocuted by a fortune teller's light bulb labeled "Electric Utility Hikes." The fortune teller is plugging the light bulb into a wall labeled "Fortunes TOLD." Image courtesy of Cleveland State University. Michael Schwartz Library. Special Collections. 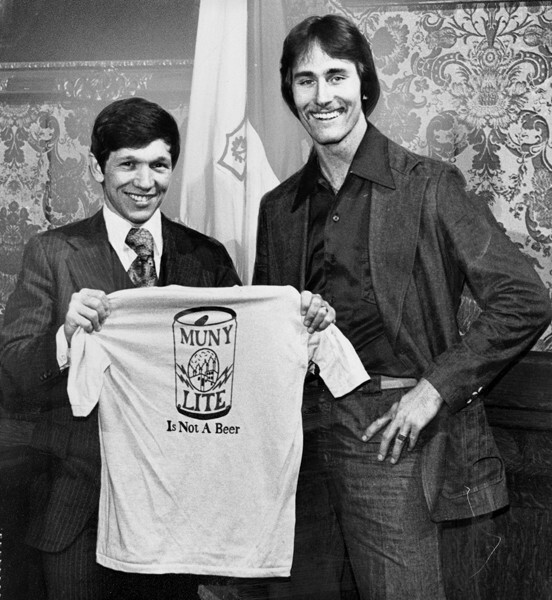 "Muny Lite is Not a Beer" 1979: The special election victory in February 1979 was a short-lived celebration. The City of Cleveland fell into default later that year, and Mayor Kucinich(left) was swept out of office in the following election. Kucinich has used this victory in later political campaigns to demonstrate his character. He still proudly lists this among his career achievements. Image courtesy of Cleveland State University. Michael Schwartz Library. Special Collections. 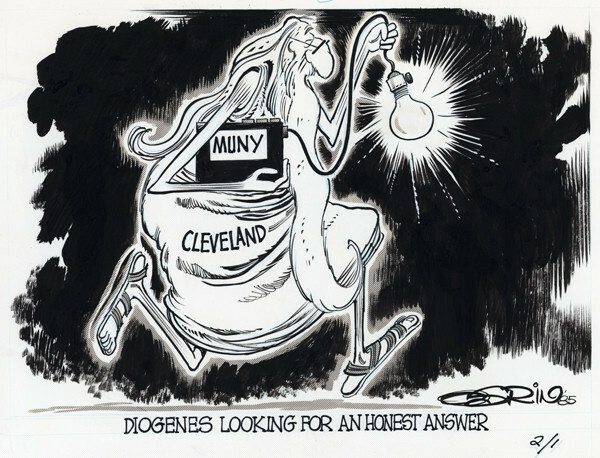 Diogenes Looking for an Honest Answer: This 1985 political cartoon by Ray Osrin depicts the city of Cleveland as Diogenes, a Greek philosopher credited with founding cynicism, searching in the dark with light bulb in hand. The light is powered by a battery labeled "Muny." Image courtesy of Cleveland State University. Michael Schwartz Library. Special Collections. 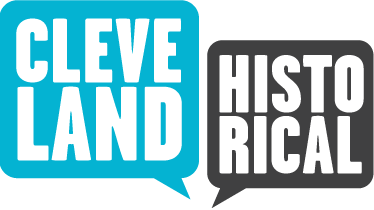 Dave Braunlich and Matt Sisson, “Cleveland Municipal Light,” Cleveland Historical, accessed April 23, 2019, https://clevelandhistorical.org/items/show/474. Published on May 23, 2012. Last updated on Apr 18, 2017.